KRATOM is a drug that has become popular over recent years and with the lack of regulations, is easily purchased in many diverse & evolving forms. 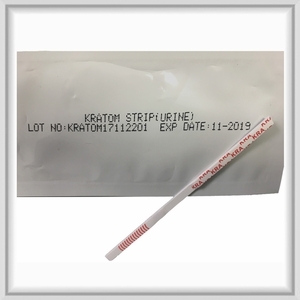 Although there are many different strains of KRATOM, there is only one instant test on the market for KRATOM which unfortunately does not yet test for all strains found today. It is our belief that, any test that helps save even one life is worth the effort. > > We continue to pressure manufacturers to enhance our KRATOM test and to develop new tests. Rest assured we will not stop until every strain has been incorporated into our test.